VA Loans is one of the best loan programs in the United States. Gustan Cho Associates at Loan Cabin Inc. are direct lenders on VA Loans with no overlays. VA does not have any debt to income ratio requirements on VA Loans that get approve/eligible per automated underwriting system. Gustan Cho Associates at Loan Cabin Inc. are direct lenders with no overlays on VA Loans. I have gotten approve/eligible per automated underwriting system on VA borrowers with 580 credit scores and 65% debt to income ratios. Also, if borrower has a recent Chapter 13 Bankruptcy discharge and the discharge is seasoned less than 2 years, it needs to be manually underwritten. 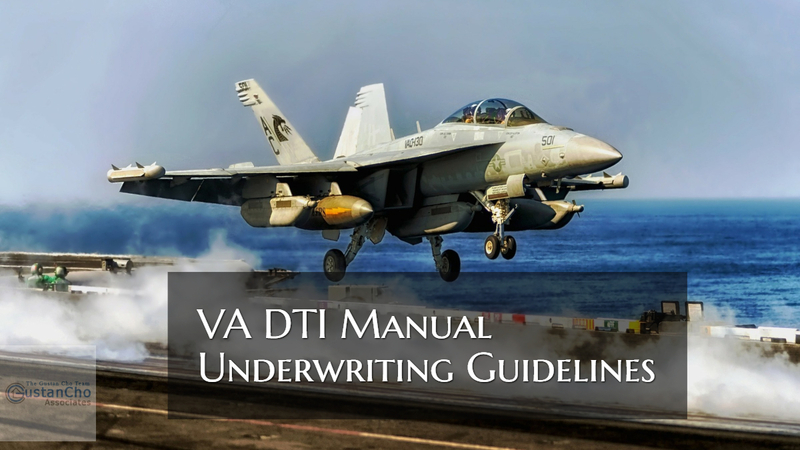 There is really no set VA DTI Manual Underwriting Guidelines. However, most manual underwriting VA Loans should not exceed 55% DTI. In order to get DTI as high as 55% or higher, borrowers should have two or more compensating factors. Not all lenders allow manual underwriting on VA and FHA Loans. Gustan Cho Associates at Loan Cabin Inc. are five star national direct lenders with no overlays on VA Mortgages. A large percentage of our business is VA Manual Underwriting borrowers. One or two recent late payments is not a deal killer if borrowers have extenuating circumstances. For more information in qualifying for VA Loans with bad credit or manual underwriting, please contact us at Gustan Cho Associates at 262-716-8151 or text us for faster response. Or email us at gcho@loancabin.com.